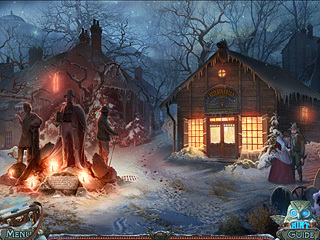 Fierce Tales: The Dog's Heart is going to please both hidden object puzzle adventure genre fans and dog people. The game is very well done to entertain the people who are well familiar with this genre both with its puzzles and story. The music of the game is amazing and very enjoyable. The graphics are very beautiful and detailed. You are a dog person if you live in Houndspoint. Dogs are part of the life for these people in a snowy mountain town. But there have been attacks by a pack of strange dogs which left citizens to wonder who or what is behind this. You are the one to find out the truth behind this mystery. The story of the game is quite unique and entertaining enough to keep you interested till the end. And that is not that common these days in this genre of casual games. The music of the game is amazing and very enjoyable. The graphics are very beautiful and detailed. Some of the dogs are drawn very well while others are not that impressive. But it doesn't make the experience any worse. The puzzles are both old and new but all are fun to play. 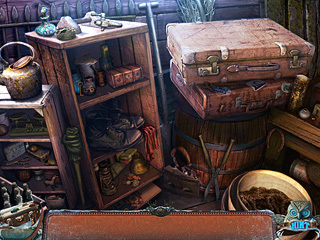 The game balances adventure and hidden object parts very well. If you prefer one kind of the levels over the other, you won't be disappointed. You will get enough of what you want. There is an interactive map to transport you where you need, and the Strategy Guide to help you out if you need it. The hints are quite helpful and specific too. The game really is one of the best recently released. You still might have to try the free version first if you want to. This is Fierce Tales: The Dog's Heart review. Download this game here.